Mobile brake repairs for your Mercedes, BMW, Audi, Porsche, Land Rover, Mini, Volvo, VW, Lexus and Toyota. It’s like a dealership at your location but affordable. Proficient Auto offers brake replacement, repairs, and service work right at your own door. We strive to offer convenient brake repair for Raleigh customers who don’t have the time to make it into a busy shop with insane wait times. Whether you need us to visit your office, home, or otherwise, we make it easy to get your brakes fixed. Not only do we come right to you, we have competitive pricing and friendly service. So, what can you expect from Proficient Auto’s mobile brake service? If you don’t see your preferred service listed, don’t worry. This is just a snapshot of our brake repair service in Raleigh. Our goal is to make it as stress-free as possible for all our customers. We understand your time is limited, so we do our very best not to waste it. In addition, we offer the best prices and service around. If you’re ready to get started, all we need is your vehicle’s make, model, and year along with a brief description of the work you need completed. We’ll schedule an ASE Certified Mechanic to visit you on site, either same day or next with expedient service. 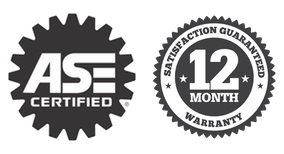 The best part: Our work is warrantied for 12 months or 12,000 miles with the parts we supply. This is our “Peace Of Mind” promise to you. Hassle free brake repairs with peace of mind at your home or office. For more information and a comprehensive list of our brake services, please call us directly at (919) 675-2886 or fill out our easy contact form here. We look forward to working with you and creating a lifelong customer. In a hurry for your brake repairs? I was skeptical about having a mechanic come to our house to replace brakes, but I will never take our car to a traditional repair shop again! Our technician was thorough, extremely polite and we paid an incredibly reasonable rate for services. We had him come back the next day to handle our husband’s car as well. Value, convenience, and outstanding work! Highly recommend.